Nashua, NH – Pearl Marketing, a New Hampshire based marketing and consulting company specializing in marketing training, seminars, digital strategies and design, has expanded its educational services to online with the launch of the Pearl Marketing Academy. Pearl Marketing Academy will now provide online marketing courses, along with its in-person trainings and seminars, to business professionals. Each online course offers over one hour of marketing content comprised of presentations, video tutorials and supplemental worksheets. Pearl will continue to offer its marketing seminars and in-person trainings, which are typically held at the client’s place of business or an alternative site. A LinkedIn group has also been established specifically for Pearl Marketing Academy professionals to connect and network with other business professionals. The New Hampshire Tech Alliance has announced that Amanda Schneck, president of Pearl Marketing has been selected as a finalist for the Annual TechWomen | TechGirls Professional of the Year. Amanda has grown Pearl Marketing since 2014 to be a relationship marketing and consulting company that specializes in educational services, digital strategies, and design. She has built a team of marketing professionals that work closely with clients to achieve a better return on their marketing investments. Through consulting, training, and seminars, Pearl Marketing helps businesses of all sizes create customized strategies which effectively communicate the unique personality and value of a brand or product, engage the target audience, and generate new revenue opportunities. The team at Pearl Marketing would like to congratulate Amanda on all of her hard work, mentorship, and countless numbers of hours guiding New Hampshire businesses to the best tools and strategies for brand and marketing success. To bring your brand to life, partner with Amanda and Pearl Marketing by calling 603-732-9070, or by emailing info@pearlmarketing.com. Visit our website at pearlmarketing.com and follow us on Facebook, Instagram, Twitter, LinkedIn, and Youtube. Amanda Schneck, Founder and President of Pearl Marketing, has joined the ranks of New Hampshire’s 40 Under Forty Award Winners. Every year, this award is given to forty outstanding Granite State recipients who are making a difference in their community and through their profession and happen to be under forty years of age. Recipients are only considered after they are nominated by someone in their community and then chosen and honored by the New Hampshire Union Leader. A reception and awards presentation for the winners will be held on March 13th at the Grappone Conference Center in Concord, New Hampshire. For those who are interested in attending, we have included the link below to securely purchase tickets through the New Hampshire Union Leader. The world of digital marketing is continually shifting, learn how your company can improve their platform visibility through SEO. Search Engine Optimization is the basic activity that increases your company’s ranking within search engines. Mostly commonly known search engine is Google, which displays links to pages that receive credible authority by analyzing the number and quality of links from other web pages. In simpler terms. Google presents the most qualified searches first. My content is resourceful and relevant to the services/products we sell, but we still are not ranked number one. Why? Google doesn’t give out participation trophies. You have to earn your right to be at the top. And that’s where proper utilization of SEO is necessary when trying to rank your website within the first few results. This means that having experts use the right tools to achieve high search rankings. Who should manage my company’s SEO? There are many options including hiring a marketing consultant, using a marketing agency, or utilizing your marketing department. There are also SEO companies that specifically specialize in the craft of search engine rankings. Can’t I just use Google Analytics? Google Analytics is powerful tool for increasing search rankings. When used to its maximum potential, it can increase your company’s traffic and ultimately convert clicks into actions. Google’s ranking algorithms are the magic behind what companies have the best chance for audience views. The two most famous algorithms are Panda and Penguin. The animal theme stemmed from creator Navneet Panda who actually created Panda first in 2011. In brief, Panda reduces the number of low-quality sites appearing at the the top of Google’s results whereas Penguin focuses on the backlink profile of your site in real time. Do I really need someone to managing my SEO? Before Google’s ranking algorithms, there was a possibility of almost anyone being able to create relevant content for consumers and potentially coming out on top. Now, it is much more difficult to do so without a professional. It is important to not only create great content to get people to link your pages, but also show Google that your pages are interesting and authoritative. At Pearl Marketing, companies hire us for objective advice and marketing strategies related to launching a new product, service, or business idea. We have a combined 55 yeas of experience in various industries and can effectively penetrate target markets. Primary consultant and CEO, Amanda Schneck has over 13+ years of marketing and social media experience and over 12+ years of being a marketing professor at one of the top business universities in the country. Contact us today to see how we can help your company’s search rankings! If you have stumbled upon this article, you might be deciding whether your business should invest in hiring an independent marketing consultant. There are many different factors that contribute to whether a company should hire a contract marketing agency to help evolve their marketing strategies. In a competitive online world of getting your brand recognized, sometimes help from a specialist might be the best option. Here are 5 advantages to hiring a marketing consultant. If you have no marketing team or want to strengthen your current marketing team. Marketing consultants are great resources for those who currently have no marketing strategy and are not currently looking to build out a team within the company. On the other hand, if you think your marketing team is losing a sense of direction, hiring a marketing agency could be a great solution. Often times agencies can provide unique insights and ideas that the team can run with. This can add a huge rate of return directly to your company and marketing team. No fear of losing staff mid-way through projects. Marketing consultants are hired on a contract basis, so there is no fear about losing staff throughout the year. Losing a member of a team during important projects or right before a large event, could take a massive toll on your company’s future financial health and success. Hiring a marketing consultant can take the edge off of that worry due to the contract they sign, agreeing to be committed to your business for a certain amount of time. This also allows your company to be flexible and decide after the contract ends whether you might want to build your own marketing team instead. Marketing professionals can immediately give you advice and tend to have experience in many industries. This will save on time and cost that a new marketing hire would have to go through with their on boarding training. The advantage to this cost savings can go directly back into areas of your marketing needs such as website development, promotional content, and other projects your consultant might recommend. Team of experts costs less than you think. You would think that a team of marketing professionals would induce costly expenses. Marketing agencies are formed as a team of strong professionals who have 10+ years of experience in various industries. The cost of hiring a marketing agency to place you with one of their advanced consultants will almost always cost less than hiring a whole team. This is especially important if your company is just starting to build upon their marketing developments. Ability to ‘Shop Around’ to find the right fit. Every marketing consultant has a different expertise, this allows your company to research and meet with whomever could be the best fit. When researching various agencies it is important to ask yourself some questions. Does this firm’s functionality match the unmet needs we have? Is the price range flexible and can meet your company’s budget? What efficiencies are you looking for and do you think the team/consultant is the right fit to work with your company? Do you need local knowledge or a consultant that strictly specializes in one field? All of the questions answered can lead you to the best consultant to form your marketing strategy. Marketing consultants bring a lot of knowledge to companies who need more focus. Sometimes a company might need an external perspective to figure out how to improve their marketing strategy. And in some cases, companies might have too many ideas in which they ultimately spread themselves too thin. A marketing consultant can use their expertise to ultimately determine which ideas to put into action for your company for maximum brand recognition. If you or your company identifies with one or more of these statements above, meeting with a marketing consultant could be the next step. At Pearl Marketing, companies hire us for objective advice and marketing strategies related to launching a new product, service, or business idea. We have a combined 55 yeas of experience in various industries and can effectively penetrate target markets. Primary consultant and CEO, Amanda Schneck has over 13+ years of marketing and social media experience and over 12+ years of being a marketing professor at one of the top business universities in the country. Contact us today to see how we can help your company! With summer just around the corner, there is a strong likelihood that many of your clients will be taking extended vacations with their families. This might allow you more “free time” to focus on other areas of your business development. One area in particular, is the overall development of generating leads to your company. Many companies have a documented marketing plan that is set up by their marketing department or by a contracted hire. It outlines the details of future marketing endeavors and the progression of business growth versus the rate of return over time. The cost of this document to be produced can be pricey for a small company, especially if the company is not proactive about pursuing the marketing recommendations produced in this lengthy document. All small companies should take these simple initiatives to create a solid foundation for developing an effective marketing strategy. Here are six ways to effectively implement a marketing strategy for your company. 1. Set up realistic expectations and a detailed timeline. Remember that good marketing is constantly adapting and changing to a clients’ desires. Blue Kite marketing tells companies that it normally takes 6-12 months before they start to see a return on their marketing efforts. It does take a certain amount of time and effort to see your marketing efforts grow from the foundation you had set up for it. Make sure that your team is on the same page in terms of understanding the time it will take to reach these marketing goals. Your current marketing strategy should have a detailed project timeline. This will help employees understand when certain tasks need to be done and overall organize various aspects of developing your company’s marketing means. For example, many companies find it helpful to have a content calendar which has specific dates and times to release social media posts. You can also use project management software to make this tasks easier. There are a wide range of them and great ones for for small businesses so they don’t have to shell out huge bucks. 2. Have a clear end goal. Where do you want to see your business a year from now? A month from now, or even by the end of this week? Having goals sets up a direction for yourself and your company to work towards completing these objectives. Use SMART Goals to help you create attainable objectives for your inbound marketing strategy. Have sensible expectations, measurable efforts, achievable plans, realistic objectives, and lastly time specific goals to keep you motivated. 3. Set up mobile marketing campaigns. There are many options to implement mobile marketing applications, and this has been one of the most important tools a company can have for their marketing efforts. These applications can help companies learn how to gain popularity in search rankings which can translate into lead generation. This can help them locate qualified mobile users and build relevant context driven content. With more than 77% of people owning smartphones in the U.S. it is vitally important implement these mobile campaigns in order to develop your customer relationships. 4. Continually monitor your progress. You can’t modify your marketing strategy to become more effective unless someone is properly monitoring aspects like campaigns and outreach calls. Communicate this plan with your team to help them understand the role they play in the implementation efforts. Another helpful tip is to set up a dashboard for tracking success. A measurement dashboard is beneficial in keeping up with key metrics throughout your campaigns. You must track the number of leads and sales generated from your efforts in order to track your increased revenue. Tracking KPIs are also important which can include email sign ups, eBook downloads and webinars. Once all of this is set up, it should be easy to plug in the necessary information and complete monthly check ins. 5. Execute precise competitor analysis. Tracking competitors is vital in knowing your progress in terms of your industry growth. Looking at core competitor’s marketing strengths whether its their website or campaigns, can help you determine what your company should be capitalizing its marketing resources on. Using systems like SEMrush can be expensive but help with competitor research for online marketing. The purpose of the competitive analysis is to determine the strengths and weaknesses of competitors within your market. Use the competition’s strengths to learn from and exploit any weaknesses that can be used to disrupt the product life cycle. 6. Build the right team or hire an outsourced marketing vendor. Know approximately how many people to hire for your team. Many small companies struggle in determining whether they should hire a freelancer or if they can monitor it with a part-time role. Think about hiring an outsourced marketing vendor like an agency if you are seeking expert advice. Generally these agencies have multiple employees who are all experts in marketing advice and can dedicate time to various specialties of what your company needs in their marketing goals. At Pearl, we help you increase the quality of traffic to your website through organic searches (some refer to this as Google searches). Contact our company today at www.pearlmarketingdesign.com to learn how we can can help you. The Greater Nashua Chamber of Commerce has announced that Amanda Schneck, president of Pearl Marketing & Design has been nominated for an Eminence Award for Young Professional Of The Year. Amanda is the founder and president of Pearl Marketing & Design leading strategic planning and implementation for her marketing and design clients. 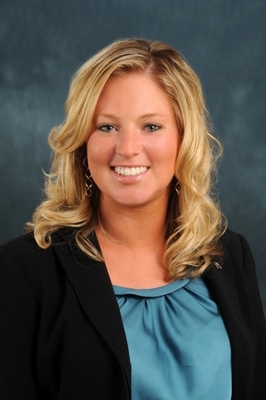 In addition to her work at her agency, she serves on the Board of Directors at the United Way of Greater Nashua and the MicroSociety Academy Charter School, as well as on the Downtown Improvement Committee for the City of Nashua, Greater Nashua Chamber of Commerce iUGO young professionals group, and the Special Care Nursery at Catholic Medical Center. On March 29 The Greater Nashua Chamber of Commerce will recognize several businesses and community leaders who have given so much to the community. Awards include Outstanding Business of the Year, Small Business of the Year, Young Professional Of The Year and more. One winner is selected from each category and be announced at the Award Ceremony. [Nashua, NH] – Pearl Marketing and Design is happy to announce that owner, Amanda Schneck, has received the 20 Outstanding Women Award from radio station, WZID (95.7 FM). Amanda Schneck is the owner of Pearl Marketing & Design, LLC. She currently holds an M.S. in Marketing, an MBA in International Business/Marketing, a degree in Graphic Design as well as 14 years of professional experience in marketing. As the owner of Pearl Marketing & Design, she is in charge of overseeing the social media marketing efforts, which include design, implemented and analysis of marketing initiatives. She is in charge of working directly with clients to manage the campaign completion from start to finish. The 95.7 WZID 20 Outstanding Women Contes (referred to herein as the “Contest”), is conducted by Saga Communications of New England, LLC, licensee of Radio Station WZID, FM 95.7, Manchester, New Hampshire, dba “WZID” (collectively referred to herein as “WZID”). This contest is also sponsored by Hannaford. A panel of judges from WZID, Hannaford and other prominent businesses review all entries and choose 20 Outstanding Women. Women who have been most outstanding in their communities, with their families, or at work will be chosen, based on the quality of each entry. [Nashua, NH] – Pearl Marketing & Design, with the partnership of United Way of Greater Nashua, recently produced a PSA promoting the new “Nashua Safe Stations” program. “Nashua Safe Stations” is a program for people who are suffering from substance abuse and need assistance to seek treatment. A person can visit any Nashua Fire Station and will be medically evaluated. Once the evaluation is complete, they will meet with a licensed professional to assess proper treatment options. This will include medical detox, medication assisted treatment, intensive outpatient groups, and residential services. The program is also in partnership with the City of Nashua, American Medical Response, and the Partnership for Successful Living. Nashua NH Firehouse Safe Stations from Pearl Marketing & Design, LLC on Vimeo.